Do you want to play with the best, compete against the best, and BE the best? The FC Delco Elite Talent ID Clinics are a great place to start. We’re always on the lookout for the area’s best and brightest talent. Our upcoming Elite Talent ID Clinics for our Elite Clubs National League (ECNL) and National Premier Leagues (NPL) teams give you the chance to showcase your skills in front of top club coaches. You'll also have the chance to try us out before our tryouts in the spring. Current U11 CFC players with a 2008 birth year need to register using the appropriate link below. If you're a current CFC Player ages U12-U19, you DO NOT need to register. Simply attend your regularly scheduled practice time. Who: Girls, Ages U11 (or rising U12 for next year) – U19 <------ NEW 2008 AGE GROUP ADDED! Registration: Click on the appropriate age group below to register. NOTE: TUESDAY, MARCH 5 AND MARCH 7 ID CLINICS HAVE BEEN PUSHED BACK A WEEK DUE TO EXTREME TEMPERATURES. Did you know that 1,507 girls who played in the ECNL in 2018 went on to play in college? Playing with FC Delco in leagues including The ECNL and The NPL gives you the ability to play at the highest levels possible AND it increases your exposure to college coaches looking for talented players like you. PLUS: you still get to play on your high school team, which is a really important experience too! 1. Q. Is this a tryout for the team? A. No. FC Delco will hold regular tryouts in the spring. 2. Q. Is there a fee to come to the ID clinics? No. 3. Q. Should I register for just one clinic? No. We encourage you to come to all of our clinics for your age group. 4. Q. In which leagues do you play? A. 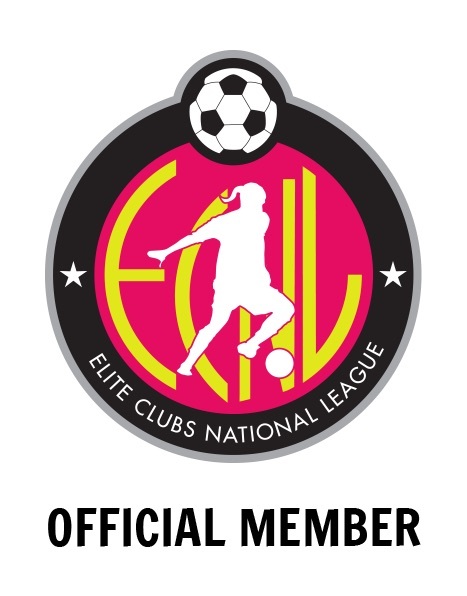 Currently, we play in the Elite Clubs National League (The ECNL) and The National Premier Leagues (NPL). Click on the logos above to see more. 5. Q. What are the requirements like to play on CFC’s ECNL or NPL Teams? A. You must be able to commit to 3-4 sessions/week with potential out of state travel for weekend games. 6. Q. What are the costs like to play on an ECNL or NPL? A. It depends. We offer scholarships. Got questions? Please reach out to our ECNL Director, Blake Hornbuckle or our Director of Girls Coaching, Carla DeSantis.